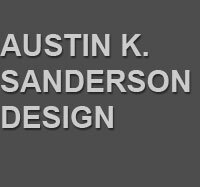 Austin K. Sanderson has more than twenty-five years as a costume and set designer and stylist. His designs synthesize imagination, creativity and cutting-edge technology; and his professionalism is respected for its support of and collaboration with producers, director and performers. Austin's costumes designs have appeared in theatre, opera and dance; commercials, fashion, live interactive events; cruise ships and even circus tents. They have contributed to the success of productions at virtually every major regional theatre in the US, on Broadway, off-Broadway, and throughout Europe. His set designs have graced theatrical enterprises and corporate events. Austin's sketches and designs — considered graphic art — have been featured in gallery exhibitions. 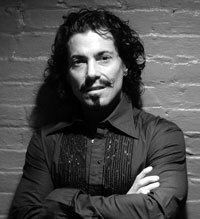 As an instructor, he has taught at colleges, universities and arts conservatories on the theory and practice of costume and set design. He received his professional training a North Carolina School of the Arts (BFA) and Tisch School of the Arts at New York University (MFA). Click on the Circus banner below to lean more about CIRCUS, the 6-part documentary event on PBS and about Austin's appearance as costume designer of The Big Apple Circus. Beginning in 2004, Austin was contracted by Royal Caribbean Cruise Lines to design the costumes for their renowned and remarkable "Promenade Parades." To view a one-minute, behind-the-scenes video in which all of the performers are wearing Austin's costumes, click on the cruise ship below. He is represented exclusively by Barbara Hogenson, The Barbara Hogenson Agency, Inc. New York, NY.